Finally got round to finishing this, only get one day in seven to play at the moment. To be honest, it needs a little more work, more polishing etc, slight tweak to the final bend after the collector, before I make the final version for the GTS. Awaiting some feedback from the local tube benders, as to what they can do for me, and talked it over with the stainless steel welder/fabricator. Will start a jig once, I know what these can do. 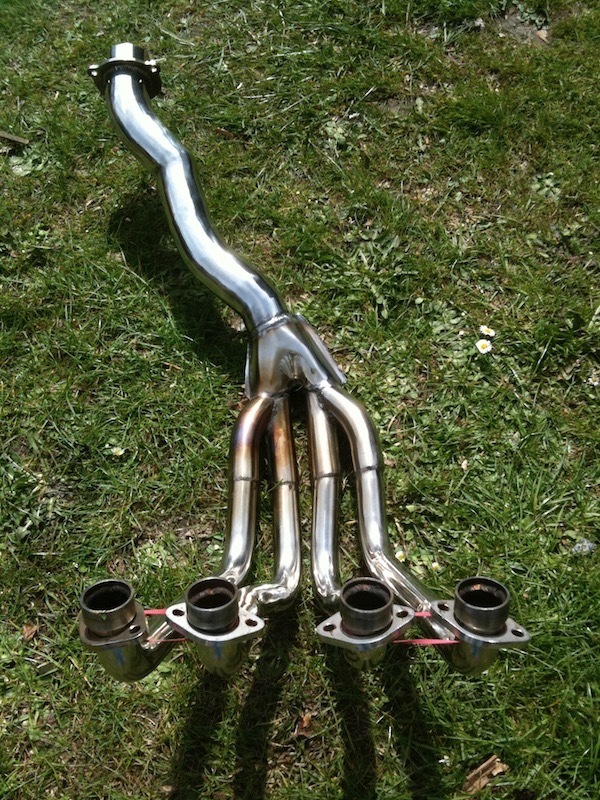 Definitely looking at four separate downpipes though, as pulling the front arm away is more work then it needs to be. Will be using larger primary/headers/downpipes to suit higher performance applications, but it will not be detrimental for stock ones either.